This course will be offered in two modules. 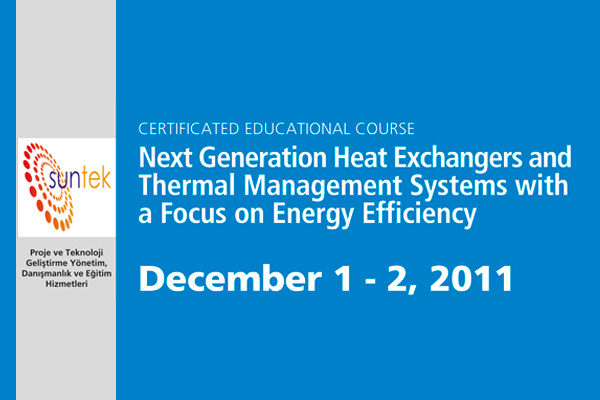 The first module (total of 7 hours instruction) will focus on next generation heat exchangers (HXs) and thermal management systems, with case examples in electronics, energy/energy services, refrigeration/HVAC, and transportation systems. The second Module (total of 4 hours instruction) will focus specifically on thermal management and energy efficiency of electronics with particular emphasis on efficient data center thermal management design infrastructure. The focus of the course will be on energy efficiency and the methods that may be most suitable to meet future needs of diverse applications. services, transportation, and building systems. Dr. Ohadi is a Center for Environmental Energy Engineering (CEEE) founding faculty member and founder of the Advanced Heat Exchangers and Electronics Cooling Consortium in University of Maryland, USA. He is internationally recognized for his research in heat and mass transfer and smart energy systems. He is the inventor/co-inventor of eight issued U.S. patents and has published more than 150 refereed technical publications. Dr. Ohadi has actively participated in promoting the support for fostering technological innovation and entrepreneurship. In 2002 he was featured in Washington Post for his efforts involving innovation and technology transfer. From 2003 to 2010 he was on leave assignment to the Petroleum Institute (Abu Dhabi) where served as Director of Mechanical Engineering (2003-2006) and Provost and Acting President (2006 to 2010). He is a fellow member of both ASME and ASHRAE and has won numerous awards from both societies.